It is the intent of our committed staff to help every child succeed as students come first in Tulare City School District. Our dedicated staff is here to assist each student in achieving his or her full potential. The Tulare City School District Gifted and Talented Education (GATE) program is for students in the grade 3-8. The philosophy of the program is that when participating in a differentiated curriculum, bright, talented students will become analytical thinkers, creative producers, and practical problem solvers. The program is designed to meet the needs of high ability and intellectually gifted students. Parents, teachers, and administrators may refer students in grades 3-8 for possible identification and placement in the GATE program. Once identified, students remain GATE identified and are automatically placed in the GATE program, unless the parent requests otherwise. The Tulare City School District identifies students for the GATE program by intellectual ability, creative ability, academic ability, leadership ability, and high achievement. We base decisions for placement into the GATE program on student performance, test data, and referrals. If a parent believes his or her student is in the top 3% of intellectual ability when compared to his or her peers, the parent should contact the school principal for more information about the GATE referral process. 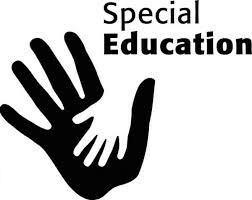 What do special education services look like? Each student who receives special education services has an Individualized Education Program (IEP) based on their unique needs. The IEP team develops goals based on a student’s educational functioning and determines the appropriate services and placement. These services may include specialized academic instruction, occupational therapy, and speech therapy. A student, between ages three and twenty-two, having one or more of the 13 federally defined disabling conditions that adversely affect his or her educational performance, may be eligible to receive special education services. Conditions include autism, deaf-blindness, deafness, hearing impairment (hard of hearing), intellectual disability, multiple disabilities, orthopedic impairment, health impairment, serious emotional disturbance, specific learning disability, speech and language impairment, traumatic brain injury, and visual impairment. Not all students who are struggling will require special education services. 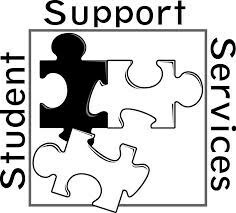 We may also meet student needs through the Response to Intervention (RTI) program. The RTI program provides interventions for struggling learners at increasing levels of intensity within the general education setting. For additional information about special education, Response to Intervention, and other related services, please contact your school principal. and to do other related functions as required. If you need assistance from a school counselor, please contact your child’s school. provides specialized consultative services to families, school staff, community agencies, and other professionals, which allows students to reach their highest educational, developmental and social potential. If you need assistance from the district social worker, please contact your child’s school. The Special Friends program is designed to help at-risk grade K-3 students adjust within the school setting. The Special Friends staff member provides a welcoming environment for one-to-one non-directive play sessions in which students can express their feelings and ideas through creative play. The Special Friends program offers at-risk students the opportunity to develop social and emotional skills to reduce school adjustment problems.